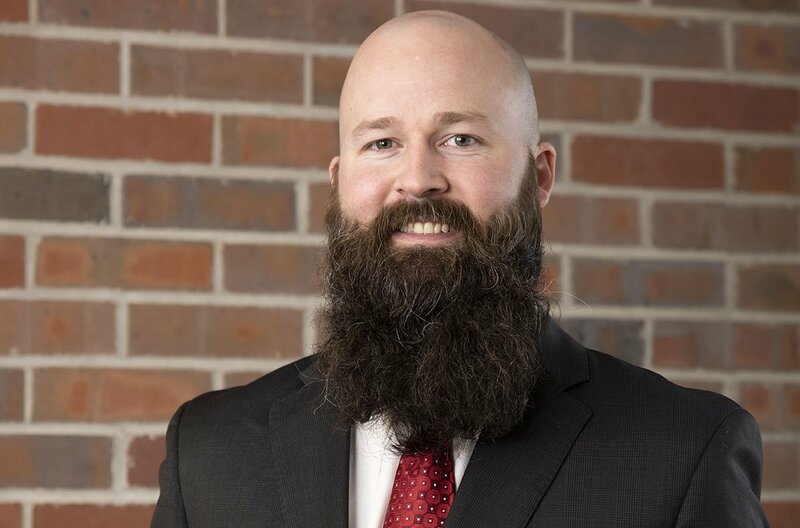 After growing up in Derby, Kansas, Drew attended Wichita State University for his undergraduate degree and then attended Washburn University School of Law. While in law school, he competed on the trial team and was inducted into the Order of the Barristers in 2012. He graduated law school and was admitted to the bar in 2012. Today, Drew remains active in the Wichita Bar Association and Kansas Trial Lawyers Association and was elected president of the Wichita Bar Association Young Lawyers in 2016. Within the community, Drew organized the Wichita Bar Association Young Lawyers Section fundraiser for the Salvation Army Emergency Lodge in Wichita, which hosted a Christmas party for families staying at the lodge. The event raised thousands of dollars for the emergency lodge and assisted in their day-to-day operations. Drew also assisted the Wichita Bar Association in interviewing and selecting high school candidates interested in law practice for summer internships at law firms in the Wichita area. Drew oversees high school interns placed with the firm by the Wichita Bar Association. Additionally, Drew volunteers with CASA, assisting in organizing events that benefit the Court Appointed Special Advocates program of Sedgwick County.